Why should all puppies go to school? By five months of age much of your puppy’s personality has been determined. Early puppyhood is a critical time for socialization and learning. This time will set the stage for the rest of your puppy’s life. This is truly a once-in-a-lifetime chance to show your puppy how to confidently relate to other puppies, unfamiliar people, and strange sights, sounds, and events. It is crucial that this developmental stage is used wisely! Using a positive approach, we focus on training for the pet and companion dog with the emphasis on reliable responses. Here veterinary behaviorist, Dr. Lisa Radosta, talks about the importance of proper puppy socialization. Socialization is an important aspect of class. We strongly advocate proper, positive socialization experiences for your puppy. Take your pup to as many different places as possible but don’t overwhelm your pup, especially shy ones. Never force your puppy to interact; we want your puppy to feel safe in every situation and with every interaction. How your puppy learns to perceive the world now influences his adult temperament. Here is a great video that describes why and how you should manage your pup’s critical stage of life. Watch it now. In class you will learn to teach your dog to come when called, to follow from a distance, go to his or her mat, to sit, down, and stay, and practice impulse control. Plus learn how to deal with all of those normal natural “doggie behaviors”; barking, chewing, jumping up, biting or mouthing, and house soiling will be discussed. Useful information about common problems and concerns that you may have about your puppy’s behavior will be provided in our classes. We will begin to teach you, the owner, how to teach your puppy. Puppies will be acclimated to other individuals, things and situations. You will learn how to teach a puppy to sit and take things gently from your hand as well as play pass the puppy to get your little tyke used to gentle handling of different body parts (great for drying dirty paws and cleaning ears!). We’ll also discuss preventing resource guarding problems as well as destructive chewing and getting on furniture. Upon graduation your puppy will be well socialized and he/she will be well on their way to having established great manners for life. There are typically only about 8 puppy participants per instructor in each session. Your puppy must be between 8 and 18 weeks at the start of class to attend Ideal Puppy Training & Socialization. Please bring a 6 foot leash, a flat collar or Halti/Gentle Leader, a mat, and a tug toy. Bring a water bowl as well. Treats of choice are soft training treats and your puppy’s kibble (set aside from a meal). Cut the training treats into very small pieces as we will be using a large quantity! It’s best to bring a slightly hungry puppy to class. Click here for the complete list and to print what to bring to puppy class. What about vaccines? Should I be worried if my puppy does not have all of her shots? My vet says not to sign up until my puppy is older! “Puppies begin learning at birth and their brains appear to be particularly responsive to learning and retaining experiences that are encountered during the first 13 to 16 weeks after birth. This means that breeders, new puppy owners, veterinarians, trainers and behaviorists have a responsibility to assist in providing these learning/socialization experiences with other puppies/dogs, with children/adults and with various environmental situations during this optimal period from birth to 16 weeks. To take full advantage of this early special learning period, many veterinarians recommend that new owners take their puppies to puppy socialization classes, beginning at 8 to 9 weeks of age. At this age they should have (and can be required to have) received a minimum of their first series of vaccines for protection against infectious diseases. The above quote about vaccination scheduling concerns is from an open letter written to veterinarians by Robert K. Anderson DVM, Diplomate, American College of Veterinary Preventive Medicine and Diplomate of American College of Veterinary Behaviorists, and Professor at the Behavior Center at the University of Minnesota. To read and print the entire letter, please CLICK HERE. Here is what the American Veterinary Society of Animal Behavior has to say about the importance of puppy socialization classes and why it’s important to begin before 3 months of age: Click here now. Is your young puppy at risk for canine parvovirus (CPV) infection if he or she goes to a puppy socialization class after only one vaccine? Here is a study published in the Mar/Apr 2013 issue of the “Journal of the American Animal Hospital Association”. You may want to share this with your veterinarian. This is the link to the study. Still not sure if puppy class is right for your puppy? 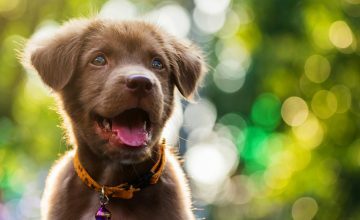 Here’s a wonderful and comprehensive article about the importance of puppy classes excerpted from “After You Get Your Puppy” by Dr. Ian Dunbar. PURCHASE “After You Get Your Puppy”. Free book download! “Before You Get Your Puppy” by Ian Dunbar, world renowned trainer and PhD behaviorist, is great for understanding housebreaking and socialization. We highly recommend it (even after you’ve gotten your puppy). It’s critical to keep socializing and exposing your now-adolescent dog (5 months to two years) to new people, dogs and situations so that your dog will become or remain confident as he or she gets older. These experiences should always feel safe to your dog. A bad experience is worse than no experience. 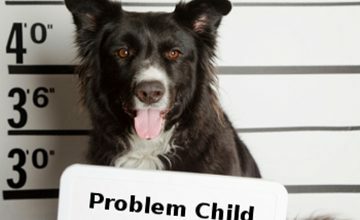 Behavior is always changing and things will continue to improve if you keep working with your adolescent through social maturity (2-3 years of age) and beyond, but if you don’t keep on top of things there can be unwanted changes in your dog’s temperagment and manners. Be sure to check out our follow-up classes, including Super Puppy and Puppy Agility Fun! This is for young puppies approximately 8-20 weeks old at the start of class. Class priorities are teaching bite inhibition (so your puppy develops a soft mouth), socializing your puppy to people (especially children, men, and strangers) and other dogs, and teaching basic manners such as sit, down, stay, and come. Early intervention focused on early socialization and behavior is the key to a happy lifelong relationship with your dog. Shape behavior using early intervention and education. Your pup will learn to control biting by playing with dogs his age. It’s important that your puppy learns to be comfortable in strange settings and situations and to adapt to the world around him and feel at ease with other dogs and people. This class is for dogs five months and older. This class emphasizes basic control, focus and attention. First, teach your pup to want to give you attention, even with distractions. When you have that most important behavioral piece, the learning really begins! We will work on basic obedience skills such as walking on a loose leash, sit, down, stay, no jumping, and coming when called. This 4-week class is for graduates of Ideal Puppy (or similar) and are 5 to 12 months of age. Your pup must be friendly towards people and other dogs and have good play skills. 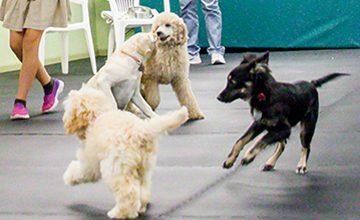 This class is similar to Focus Foundation and Adolescent Dog except that we will also continue to promote good socialization skills through off-leash play and interaction (the skills learned in Ideal Puppy). We will work on sit, down stand and stay, adding duration, distance, and distraction, and using positive reinforcement (and the clicker for those that want to). Walking on a loose leash will be improved and we will work on training issues such as jumping on people. To provide mental stimulation for your dog (and have fun!) we will do some trick training in class. Attention exercises will be an important focus of this class as well. Take advantage of your puppy’s natural curiosity and abundant energy to introduce him or her to the fun sport of agility! 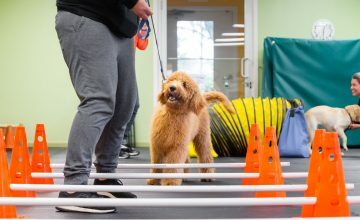 This class will focus on some fundamentals of agility using puppy games that will utilize targeting, wobble boards, focus and basic obedience skills. Puppies will be introduced to sights, sounds, and techniques that are helpful toward building confidence without stress on baby joints. Clickers, treats and toys will be used for focus motivators. Class will help build your puppy’s confidence and strengthen your bond and partnership. The goal is to create a dog that is engaged, focused and motivated as well as one that is confident, well socialized, and eager to offer behaviors and learn. This class is designed for puppies 5 months to 1 year of age. The class meets one day a week for approximately one hour. Classes are limited to 7 puppies. We recommned that you bring a crate, buckle collar or Gentle Leader, a 6 ft. leash (nylon or leather), and lots of tiny yummy treats ( feed less dinner before class)! The class will focus on building a positive working relationship with your puppy using play, toys, and lots of treats. Prerequisite: graduation from Ideal Puppy class (or similar in another school) or obedience class such as Focus Foundation; or approval from instructor or Training Director.